According to J.D. 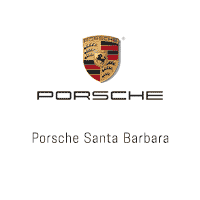 Power the 2016 Porsche Macan overcomes all competitors for Initial Quality Rating in a compact premium SUV. The Macan has been a customer favorite since its introduction to the brand. The sleek and sporty exterior fits right in with Porsche’s sporting heritage, and the quality that Porsche’s engineers put into the design of this machine is nothing short of amazing. J.D. Power annually awards vehicles in several different categories—one being Initial Quality Rating. The Initial Quality Study (IQS) examines issues experienced within the first ninety days after purchasing, mainly focusing on mechanical quality and design of areas such as powertrain, body and interior, and features and accessories. The 2016 Porsche Macan was the winner this year for compact premium SUVs. The body is comprised of steel and aluminum offering the feel and efficiency of a lightweight vehicle. A Porsche representative claimed, it “embodies sportiness, dynamism, and precision, together with an elegance and lightweight constructions.” Out of the fourteen categories J.D. Power examined for the Initial Quality Study, the Macan received five stars in eleven of them, with the lowest category still receiving three stars. The 2016 Porsche Macan is available in either S or Turbo trim, both of which now come standard with all-wheel drive. Also, this luxury SUV comes equipped with a new development of Porsche Traction Management that shifts axle power from front to rear depending on cues from the available traction. Two all-aluminum engines are offered in the Macan. The Macan S is equipped with a 3.0L V-6 engine that pushes out 340 hp , while the Macan Turbo has a 3.6L twin turbo V-6 that produces 400 hp. With leather upholstery for your comfort and cutting-edge technology for your safety and convenience, the 2016 Porsche Macan really does offer extraordinary quality. Let our knowledgeable team guide you in finding the luxury vehicle that suits your needs. Check out the Macan today! Contact a Brand Ambassador today to find out how to get yours or schedule a test drive.